Kids that are playing golf in Branson can have the opportunity to see spectacular landscape, beautiful scenery of the wooded valleys and forests, and great view of the Ozark streams that you would never think you are near the heart of Branson. Branson golf course was voted by the Springfield News-Leader as the Best of the Ozarks for two consecutive years. Golf is not only played by adults nowadays, kids also play this game so they can enjoy the benefits it provide. 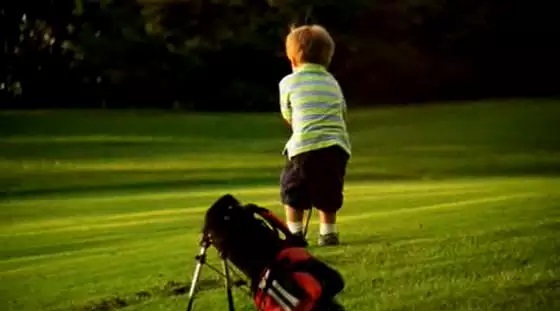 Some of the benefits that kids can get in playing golf is about learning how to control. Like for instance, if you become angry at the bad start of the game, then it will likely become a bad situation. The angrier you get, the worse you will play. Don’t be carried away about the failure of the previous stroke, instead concentrate your game to help you in the next attempt. By focusing and controlling of the situation, it will either cause a successful hit of the ball, or make the situation worse by playing the ball in the rough. Playing golf with relaxation can help you achieve a successful golf game. When you practice relaxation in every game, you’ll get good result. However, if you are being rushed by those behind you, your play will suffer. Instead of competing to stay ahead of those who are clearly better, let them play through. Take time to enjoy the beautiful ambiance of the surrounding and see the fascinating golf course for what it truly is – a tranquil environment filled with nature’s beauty. A skill that can add to your credentials can be a good benefit. When you walk onto the course for the first time, it is assumed that you aren’t a pro golfer. Playing golf usually takes more practice to succeed. Many golf enthusiasts play the game for years and still a mediocre golf player. This doesn’t mean that you should stop playing – it means that you should play more in order to perfect your golf game and understand it. If you continue to practice playing golf, you’ll learn proper techniques and methods, and it will help improve your golfing skill. Another good benefit that you can get in playing golf is about the right handling of the club. Many golfers know that the perfect club doesn’t necessarily make the player. For instance, a golfer complains constantly that he can’t drive the ball as others can. He believes it is because he doesn’t have a Calliway Diablo and he has a Wilson driver that he bought at Walmart years ago. At the point when a golfer using Calliway took his driver and still out-shot him even if he used Calliway Diablo. This doesn’t mean that because you don’t have the nicest of clubs, it doesn’t mean you can’t play the game successfully. Kids that play golf can have the benefits of learning how to control, play with relaxation, improve golf skill, and learn the right handling of the club.